Newspaper cuttings about the programme of A.E. Pickardﾒs music Halls; plus a sketch about cinema culture. 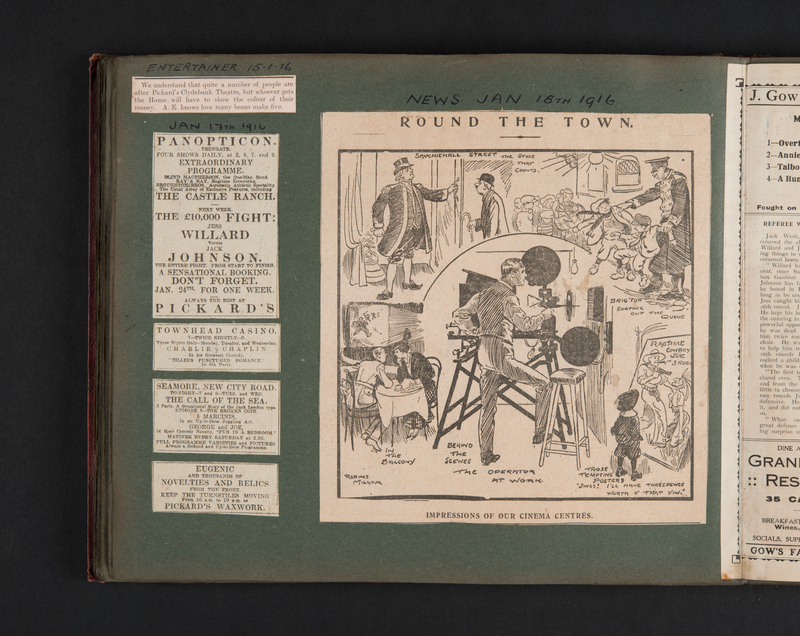 [A. E. Pickard], “BP22.34 Scrapbook page,” Pickard's Papers, accessed April 19, 2019, https://pickardspapers.gla.ac.uk/items/show/962.